A Publishers Weekly Best Children's Book of the Year, Carnegie Medal nominee, and Book Sense Children's Pick. Before The 5th Wave, there was The Extraordinary Adventures of Alfred Kropp. This first book in Rick Yancey's lauded series earned two starred reviews, and was called "unforgettable" by Ridley Pearson. 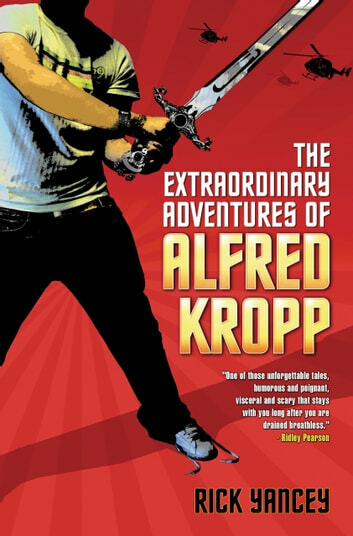 Alfred Kropp is an ordinary kid with an ordinary life--until he steals the legendary sword of King Arthur and mistakenly delivers it into the wrong hands. Now the world is faced with imminent destruction, and it's up to Alfred to recover the sword . . . before it's too late. Packed with car chases, knights, and secret agents, this thrilling first book in New York Times bestselling author Rick Yancey's series is one that fans of James Patterson and Anthony Horowitz won't want to miss.